Indian Air Force Group C Recruitment 2016, for Civilian Posts at Air Force Record Office (AFRO), Subroto Park, New Delhi. Indian Air Force Group C Recruitment is only for Indian Citizen. 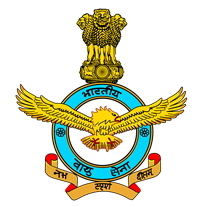 Application for IAF Group C recruitment for LDC post has begun.The candidates must fill the application form, the shortlisted candidates will be called for the written test. The candidates have to mandatorily fill the IAF Group C recruitment Application form to appear in the written test. The exam will be conducted in New Delhi. The venue will be notified later in the call letter. The pay-scale will for the LDC post will be Rs 5200-20200 (grade pay Rs.1000). The last date to apply is September 30, 2016. Age: The candidates must be 18-27 years of age. The upper age relaxation for the Ex-Serviceman will be the Service rendered in Army, Navy and Air Force and additional 3 years. Academic Qualification: The candidates must pass class 12 or equivalent examination from a recognised Board/University. Other Qualification- Typing Speed: The candidates must have @35 words per minute English typing speed and @30 words per minute Hindi Typing Speed on the computer corresponding to 10500 KDPH/9000 KDPH on an average of key depression for each word. It is to be noted that the typing test will be conducted only on computer. The candidates must fill the Application form through offline mode only. All the candidates need to follow the instructions very carefully before filling the application form. 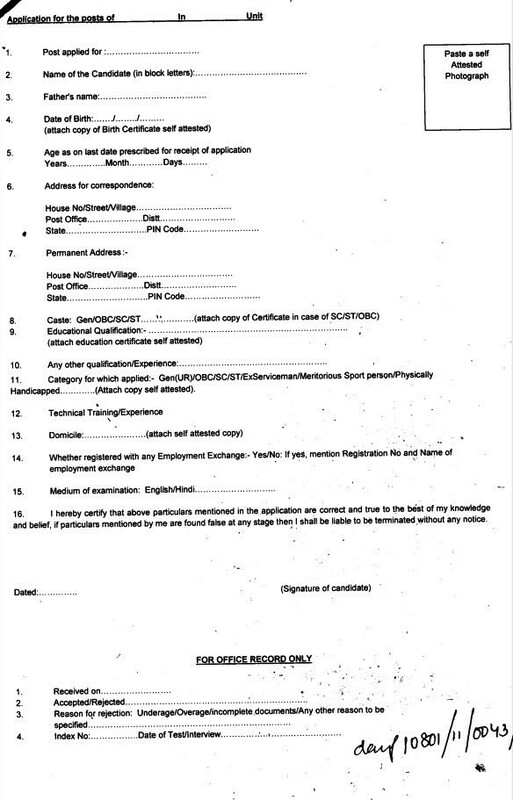 The post and category must be clearly written on the top right-hand corner of the envelope containing the application form and the documents. After filling all the details given in the Application Form completely, the candidates need to send the application form only through Ordinary Post to the following address. The post and category must clearly be written on the Top Right Hand Corner of the envelope. Please note that applications sent through registered post / speed post or by hand or courier will not be considered. The exam would be conducted in New Delhi and the venue of the examination would be written on the call letter. The selection process for IAF Group C recruitment for LDC post will be done on the basis of Written and Typing tests. The candidates who will fill the application form can appear for the written test but in case if the application form received are too many compared to the number of posts, then only shortlisted candidates will be called for the written Test. The selection in the Indian Air Force is fair, free and done on merit basis. So, at any stage of recruitment if the candidates are found to have submitted any false/fabricated information or documents, then his/her candidature will be cancelled immediately and he/she will be liable to criminal charges under IPC 1860. The language for the written test will be bilingual Except the English paper so the test can be given in Hindi also.